InfoCorp Technologies, a Singapore-registered fintech company and RGK+Z&A Group signed a Memorandum of Understanding with the Livestock Breeding and Veterinary Department of the Ministry of Agriculture, Livestock and Irrigation and Myanma Insurance, an arm of the Ministry of Planning and Finance, for the deployment of a joint pilot project to perform the Tamper-Proof Livestock Identification tagging using InfoCorp’s Sentinel Chain technology in selected areas of Myanmar which include Yangon, Mandalay Divisions and Nay Pyi Taw. The MoU was signed and agreed between Mr. Roy Lai, Founder and CEO of InfoCorp Technologies, Mr. Zeya Mon, Chairman and Group CEO of RGK+Z&A Group and Dr Sandar Oo, Managing Director of Myanma Insurance at the office of Myanma Insurance in Yangon this morning. 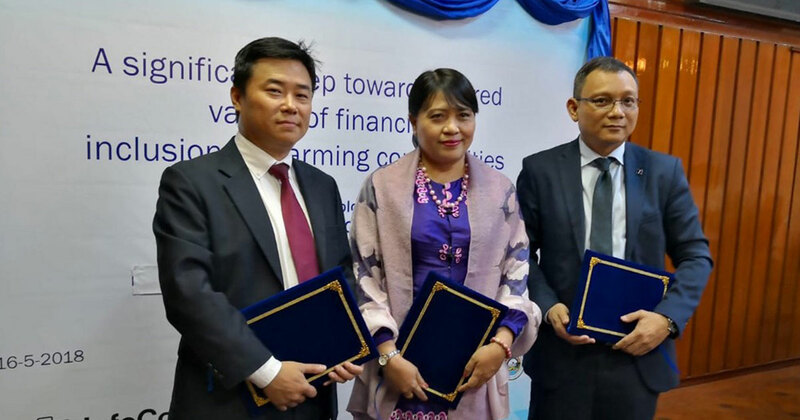 This ceremony marks a significant step towards shared values of financial inclusion for farming communities in Myanmar.